AS a palliative care doctor for more than three decades, I’ve sat at the bedside of many thousands of people with terminal illness. I’ve listened to them speak about their suffering and their wishes. It is their voice that I feel obliged to convey because they cannot. Palliative clinicians are well aware of the rewarding positive impact we can have on patients and their families. We cannot eliminate all suffering, however, and the disintegration of a person due to a progressive terminal disease can be a harrowing struggle. Physical changes of weakness and immobility can challenge the person to adjust to dependence on others. Symptoms such as pain, breathlessness, vomiting, incontinence and confusion can be intractable despite state-of-the-art treatments. Impending death can be heralded by rattling irregular breaths in the whittled shell of the person. It can be horrifying for loved ones witnessing the dying process, and they often regard the eventual death as a merciful release. Most people with terminal illness want to ‘let nature take its course’ and want their clinicians to focus on relief of their suffering. In their final weeks, many people say they are “ready to go” and “wish it would hurry up”. About five per cent of people with terminal illness earnestly request assistance to die quickly, in a more dignified way. I can recall patients from all walks of life who wanted a quick exit. Some had witnessed their parents or other relatives die from the disease that now afflicted them. Some were nurses or doctors who wanted to avoid what they knew lay ahead. Most said their philosophy and views about their end of life were long-held. Prominent examples include the former dean of my medical school who, as a hospice patient. said that he “always believed voluntary euthanasia should be available”. 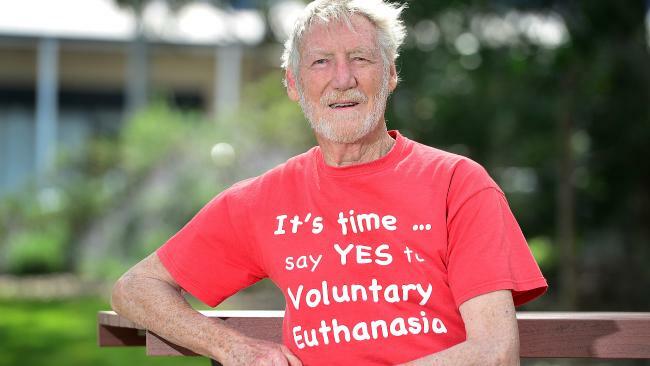 Another was former Legislative Council president Gordon Bruce, who suffered from motor neurone disease and publicly called for his parliamentary colleagues to make voluntary euthanasia available. 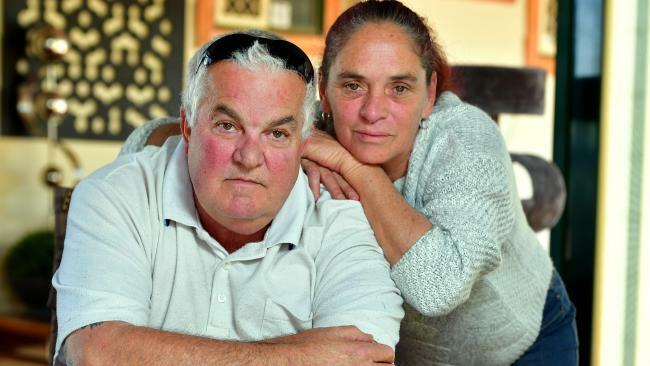 Gordon died at home with his family present when the ventilator that supported his breathing was withdrawn and sedatives were administered to palliate his respiratory failure. His death occurred in a somewhat controlled way. But other patients are not so fortunate. They do not have a life-sustaining treatment that can be withdrawn at their request for death to predictably occur. So some patients try to take their own life, alone, sometimes with tragic consequences. Some ask their loved ones and doctors for assistance to die. Under the existing law, if active help is provided there is a risk of prosecution for murder, and some cases end up in court — think for a moment about the dilemma that empathetic carers can experience. There has to be a better way for South Australians. In North America and Europe, in jurisdictions comprising 100 million people, laws have been enacted over the past 20 years to grant terminally ill people control over the end of their life. In these jurisdictions, majority support for these laws has increased, doctors have acted responsibly, palliative services have been strengthened, and terminally ill patients have been better served. Law reform has not produced a “slippery slope” to unfettered killing, and the proportion of assisted deaths has remained very low (less than 3 per cent at most). Doctors of developed countries have shown they can responsibly handle assisted death reforms. Surely, Australian doctors would be as careful and considered in handling aid-in-dying, as they already are in withholding and withdrawing life prolonging treatments — and in administering palliative sedation that can hasten death. It has been argued that doctors must avoid doing harm, but isn’t it a form of medical harm to prevent patients from dying as they wish. Or mandating a demise that can be lingering, undignified and very unpleasant? Around 75 per cent of South Australians want our parliamentarians to craft a law with sensible safeguards so a terminally ill person can legally access assistance to die. I can imagine many of my former patients would rejoice (if they could) when such a law is enacted — and future patients will experience reassurance and relief. 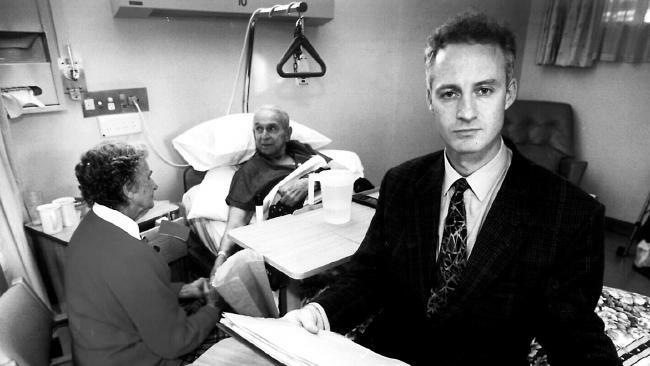 Among Dr Roger Hunt’s patients as a palliative care doctor for over three decades was former Legislative Council president Gordon Bruce, who died in 1995.